Have you ever thought of what would happen if you didn’t have a gutter system on your home? Rain would fall off the edge of your roof and cause pock marks in your planting beds and spray muddy debris all over your siding. But more than these aesthetic issues, water would pool up in the low areas around your foundation and start wearing away at it. In addition to protecting the foundation, gutters divert water away from decks and walkways and keep water from weathering the exterior walls of your home. A brick or stucco sided home can show severe water damage after only a few rainy seasons if it isn’t protected. The entire purpose of a gutter system is to divert rainfall to an area where it won’t do damage to your home, so make sure that yours does. 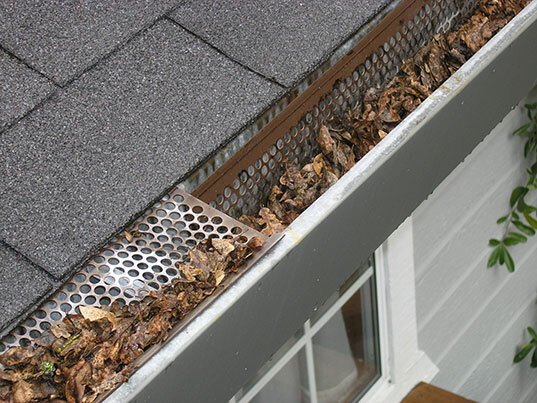 What would happen if your gutters were clogged with leaves or other debris? Then they wouldn’t be able to divert the water away and the water would fall over the edge at the point of the clog potentially damaging the areas it was there to protect. There are two ways to prevent this from happening, cleaning the gutters monthly or finding a way to keep the debris out in the first place. Instead of climbing the ladder once a month to clear out your gutters you could just purchase gutter covers that divert the debris over the gutter while allowing the water through. 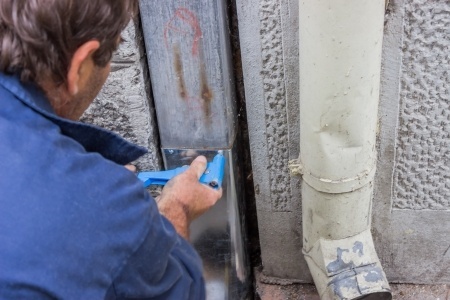 Of course, clogged gutters aren’t the only problem you may have. Sometimes large branches come down in a storm and cause significant damage to your gutter system. We can repair your gutters quickly and get them back in working order before the next storm hits. We have access to replacement gutter runs in dozens of colors so we’ll be able to make a match. When we are done with the repair no one will ever know it was damaged in the first place. In addition to repairs, our specialists install new gutter systems and gutter covers to keep your home protected, especially during the rainy winter season. We can also reroute downspouts to areas of your yard where the excess water won’t pool or backup to the house. And, if you are updating the look of your home, we can install new gutters that match the new trim color so you don’t have to go through the hassle of trying to paint the existing ones. 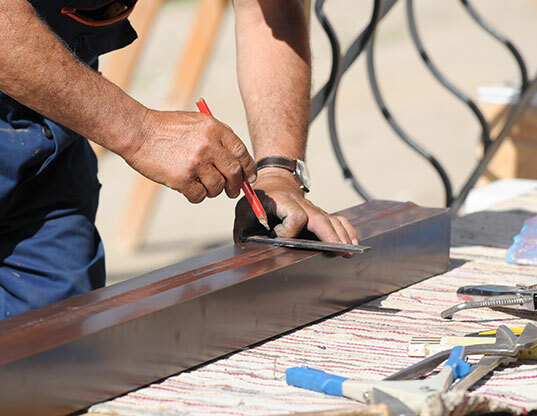 If you are looking to upgrade those old leaking rusty rain gutters, Kelly Roofing will provide you with the highest quality gutters on the market. Call or contact us any time for gutter samples so you can see what a new gutter system could look like on your home.